Sarah Palin comes to Chicago on her book tour for Sweet Freedom. Sarah Palin book signing is hosted by Anderson’s Bookshops (http://andersonsbookshop.com) at the Chicago Marriott Naperville in Naperville on Tuesday, December 1 at 6pm. This is a ticketed event for signing only. Per Anderson’s Bookstore release “You will receive your signed book after you meet Ms. Palin and have a photo opportunity.” With books not available for pick up prior to the event. Ticket prices are $27.90 plus service fee. More can be found at http://www.andersonsbookshop.com/event/sarah-palin; ticket link is at www.sarahpalinandersons.brownpapertickets.com. No bags, purses, or cell phones will be allowed at the signing table. We will have a place to leave your items (within your sight) as you approach the table and then retrieve them as you are leaving the area, but it will be easiest if you bring as little as possible into the venue. "Peace I leave with you; my peace I give you. I do not give to you as the world gives. Do not let your hearts be troubled and do not be afraid." 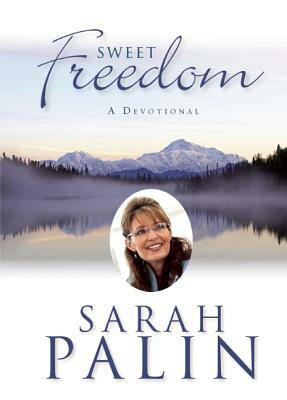 John 14:27"
In Sweet Freedom, Sarah Palin ( invites you to draw strength and inspiration from 260 meditations based on guiding Biblical verses. You are not alone in your doubts and anxieties. We all bear the burdens of everyday stresses, and for most of us, our concerns spread beyond our selves to our families, communities, and country. 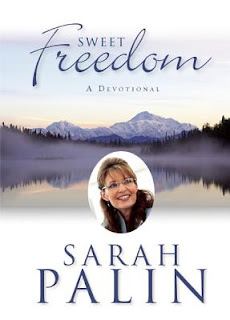 But Palin shows that with abiding faith, and by opening ourselves to the truths that have saved mankind for generations, we can thrive and experience true freedom. Sarah Palin is the New York Times bestselling author of Going Rogue, America by Heart, and Good Tidings and Great Joy. She was the first woman elected governor of Alaska and the first woman Republican vice-presidential candidate. Timemagazine named her one of the “100 Most Influential People” in 2010. Palin hosted TLC’s Sarah Palin’s Alaska and is a Fox News contributor. The mother of five children and grandmother of two, she lives with her husband, Todd, in Wasilla, Alaska. Tuesday, December 1st At 6:00 p.m.